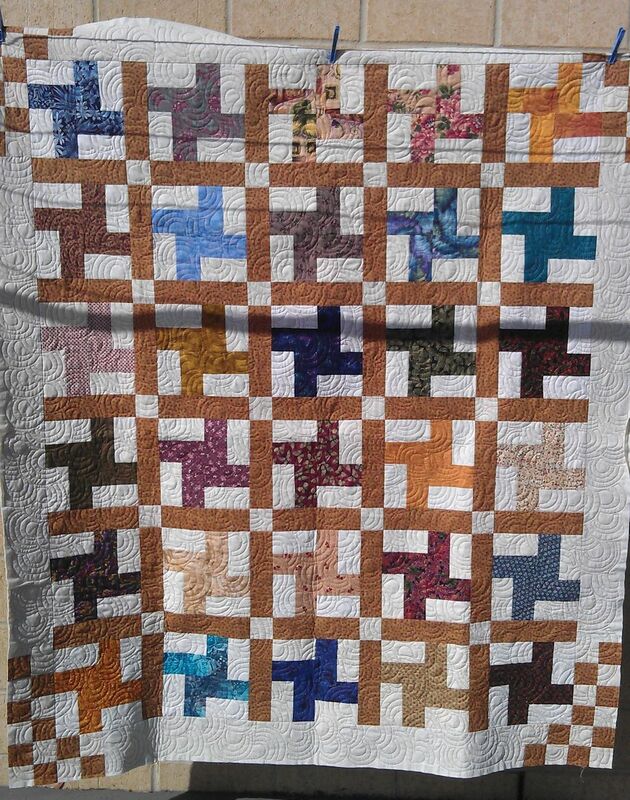 I thought this very geometric quilt top needed something to soften the edges a bit, so I quilted it in a squared-off variation of the ‘open headband‘ motif I’ve used many times before. 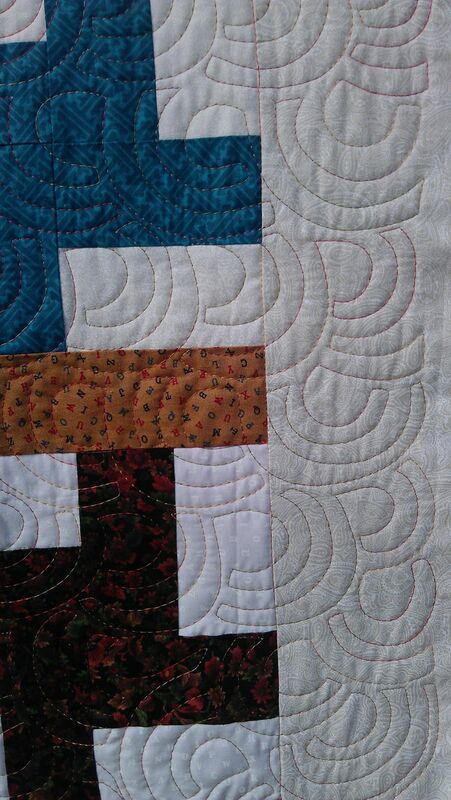 I stitched this design all over the quilt, using a cream thread. Perfect choice!!!! !Such nice stitching once again!!!!! 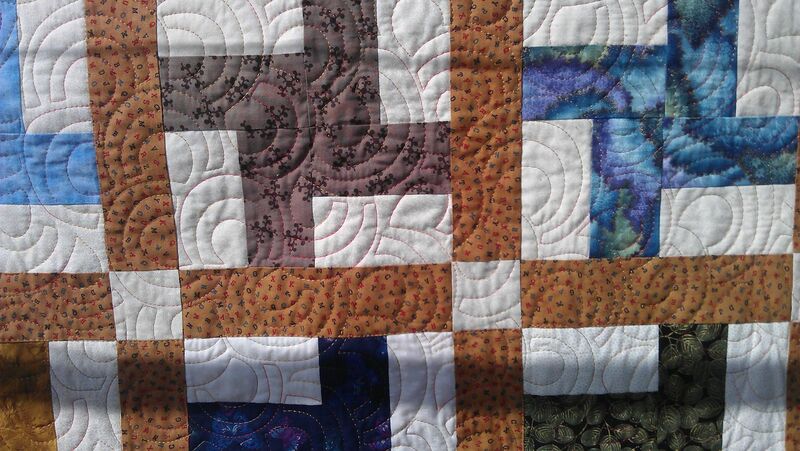 Your community is so generous to give such beautiful quilts to charity. The time, and money put into them is incredible.